Drum therapy training, learn to play & teach African rhythms, mindfulness, meditation and more. InRhythm InSpired Retreats are the perfect way to check in and nurture those parts of yourself that are overlooked in your everyday life. Bringing our loving attention to these parts of ourselves can reignite your purpose and reinvigorate the joy of being alive! 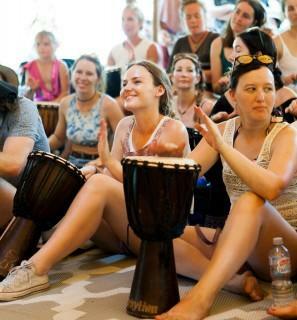 InRhythm InSpired Retreats is run by Aimie Orgias and caters for everything from Drumming & Mindfulness to Wisdom to Mother & Daughter Retreats. Please call Aimie on 0408 082 027 if you would like to discuss retreat options or make suggestions for they type of retreat you would like to attend. The list to the right hand side will take you to info on current retreats available. "Absolutely brilliant! 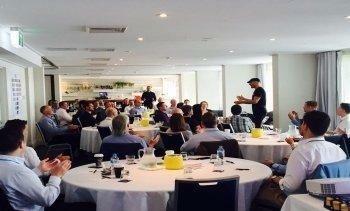 A creative way to bring teamwork and harmony to the group….. I want to do it again!"